Jeffrey Nichols of Rosland Capital, returns to the show with his latest insights on the precious metals sector - gold could top $2,000 possibly in 2016 or 2017. Our guest notes that the founders of this nation: Washington, Franklin, Madison and Jefferson etc., were "Gold Bugs." A new gold bull market could lift silver and related shares to record levels. 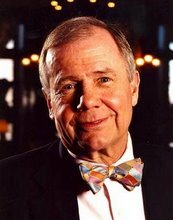 As the smart money like billionaires Jim Rogers / George Soros accumulate gold, tightening supply, demand conditions could boost the prospects of silver. The world's most useful metal could regain the more traditional gold to silver ratio, perhaps returning to the natural mineral ratio of 10 : 1, sending the silver price north of triple digits. Escalating investment demand from China and India as well as global central bank purchases remains a positive. Their tendency to hold the metals intergenerationally, suggests supply will continue to dwindle, amid increasing demand. Gold and silver offer an exceptional and free insurance policy, without monthly premiums or an expiration date. Dr. Martenson from PeakProsperity.com and co-author of Prosper! notes that the entire global economy could be facing an end game scenario. Citizens around the globe, from China to the US and beyond have lost faith in central banking as evidenced by Brexit / Grexit talks. While the 2016 crude oil market rebound from sub-$30 to $50 was impressive, Dr. Martenson expects the price to double again to meet global demand. Our guest finds value in the shares as using careful due diligence. The Alpha Stock Newsletter's top gold candidate Richmont Mines (RIC) has advanced by 300% since it was added to the portfolio candidate list. Dr. Martenson won't part with a single ounce of his gold stockpile until the true purchasing power adjusts to reflect reality, at much higher prices. As managing director of American Precious Metals Advisors (APMA), he provides expert analysis of the economics of precious metal markets and offers strategic consulting and market research services to a wide range of corporate clients. He has worked with mining companies on financing and investor relations, served as a director of two public companies, managed a mining-related mutual fund, and advised industry associations, national mints, central banks, and jewelry manufacturers. Chris Martenson, PhD (Duke), MBA (Cornell) is an economic researcher and futurist specializing in energy and resource depletion, and cofounder of PeakProsperity.com (along with Adam Taggart). As one of the early econobloggers who forecasted the housing market collapse and stock market correction years in advance, Chris rose to prominence with the launch of his seminal video seminar: The Crash Course which has also been published in book form (Wiley, March 2011). It's a popular and extremely well-regarded distillation of the interconnected forces in the Economy, Energy and the Environment (the "Three Es" as Chris calls them) that are shaping the future, one that will be defined by increasing challenges to growth as we have known it. 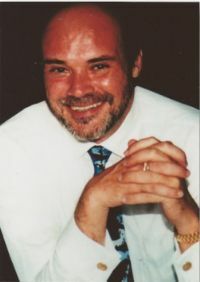 In addition to the analysis and commentary he writes for his site PeakProsperity.com, Chris' insights are in high demand by the media as well as academic, civic and private organizations around the world, including institutions such as the UN, the UK House of Commons and US State Legislatures. Please visit my web page. Chris welcomes back Bob Hoye, senior investment strategist of Institutional Advisors, who wishes every listener a Happy New Year. The economic endgame could be near - central bank policymakers are using every method possible, including negative interest rates and QE. His models suggest a paper asset crash is inevitable, it is merely a matter of time. Timing the event is challenging and will represent a sea-change in economics worldwide. The tipping point could stem from the Junk Bond market, where soaring yields have crushed prices, potentially threatening the higher rated debt market. Our guest's key takeaway point: a financial maelstrom of epic proportions will crush debt instruments and even shares - hard assets will be essential to economic survival. Chris welcomes back Martin Armstrong of Armstrong Economics, the subject of a new riveting documentary The Forecaster (2015). Watch the theatrical trailer video (Figure 1.1.). At the heart of his investing methodology are international money flows. The recent FOMC rate hike could actually be a boon for US equities indexes, as investors direct funds from sluggish international zones. The discussion includes the threat posed by a cash-less society, an economic ontology gaining momentum domestically and worldwide. The Forecaster shares his stock market forecast: expect 26,000 - 27,000, with a potential for 40,000 on the Dow Jones Industrials followed by extreme volatility into 2017-2020. The dialogue returns to the domestic economy - up to 70% of the national debt stems from interest on debt. Westerners could learn much from the economic miracle in Japan - following WWII, Japan became the 2nd largest economy worldwide. Since then, China has followed its own path, capturing the title of second largest superpower by building up the infrastructure. The chat concludes with an interesting discussion on the nature of market forecasting, expert systems and genetic algorithms, useful for improved prognostication. •Chris welcomes back Jim Rogers from his Singapore office - he notes twice as many US stocks were down in 2015 as up, a bearish market breadth indication. •The primary reason why the equities indexes remain aloft is the enormous debt burden added to the balance sheets of the Fed, since 2008. •But unlike 2008, 2000, 1987 and even 1929, the US is now the largest debtor nation in the world, putting the country at elevated risk of default. •This anomaly presents the most precarious economic quagmire in national history. •He's currently long the US dollar (from much lower levels), the Yuan, Chinese stocks, short US shares, long agricultural futures and holding on tightly to gold / silver. •Poised like a praying mantis, the ever vigilant investor is anticipating the right opportunity to increase his gold / silver exposure. •With an established knack for identifying profit opportunities outside the scope of the mainstream media he recently developed a penchant for undervalued Russian bonds and rubles. •Unlike the West, Russia is not a debtor nation but a creditor, for instance, Cuba owes Russia $25 billion as of 2013 figures. •Economist John Williams of Shadowstats.com returns to the show with a characteristically non-sanguine stance on the economy. •Global QE operations are detrimental, meant only for temporary banking system support, as a result long-term QE operations have caused economic dependence. •House loans are challenging to procure; 25% of existing house sales are cash transactions, indicating nervousness on the part of lenders. •Our guest expects Fed policymakers to revamp QE operations to prevent a systemic collapse in the US dollar. •Anything to avoid a Great Deflation - sending inflation to much higher levels. •The action fails to address the Fiscal spending / monetary debt issues. 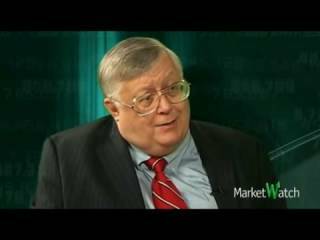 John Williams favors physical bullion, gold / silver sovereign coins over bullion bars. •The host / guest agree that as the dollar slide begins in earnest, WTIC, crude oil prices will rebound in spectacular fashion. •When the unscrupulous share buyback effects are removed from US stock indexes, clearly market momentum has stalled. •The US economy never truly recovered from the 2008 Great Recession and could roll over into a similar scenario. •The host notes that the US has been in a recession since the year 2000, when the GDP is properly adjusted for inflation - the guest responds that the current economic quagmire is comparable to the Great Depression (Figure 1.1.). •The reason why it has not been recognized by the mainline media as a Great Depression, is due to government subsidies. •Without such programs, lines would form miles long around national soup kitchens. •John Williams views gold and silver as the ultimate investment portfolio hedging components - essential balancing mechanisms. •Our guest not only joins the chorus of leading financial pundits, but projects the voice above them all, calling for $100,000-$1,000,000 per ounce gold.